Our New Year’s Eve holiday has been put together based on what our festive holidaymakers have told us is great fun and works for everyone. You can book a three, four or five day stay (minimum three nights) which includes one of the biggest parties in Devon on 31st December. On New Year’s Eve, we have planned one of our iconic dinner dances which includes a pre-dinner cocktail reception and a glass of Champagne to toast in 2018. You can find out more information about the New Year’s Eve Break itinerary here. To book your place at one of the best New Year’s Eve parties in Devon, call us on 01626 868000 or contact us here. Come and Join us for our New Year Gala Dinner. 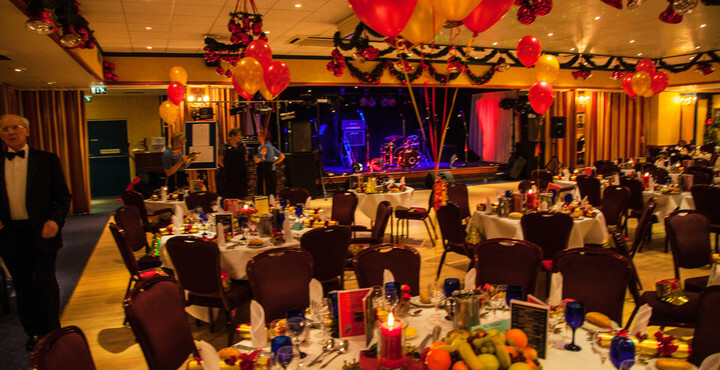 With Pre-dinner cocktails to start, this is followed by a 6-course meal with Live entertainment from “Sixties Explosion”, Steve Stevens, Comedy and Music Act, to finish off with a disco to take you through to the New Year. At Midnight there is also a champagne toast and late night buffet.